I don’t think TRS have quite managed the art of designing appealing cover art because spinet gehackt looks really unappetising from the tin livery, but I’m not too bothered because I bet the contents are heavenly, right!? and I’ll do the same at the end of my meal just to see if tinned spinach does indeed make you stronger. It tastes exactly how you would expect 3 year out of date spinach to taste: watery, grassy, a touch metallic, maybe even a faint taste of how balloons smell (this is the best I can do, sorry) but it isn’t inedible, which is cool, and will probably work with something quite rich and flavourful. 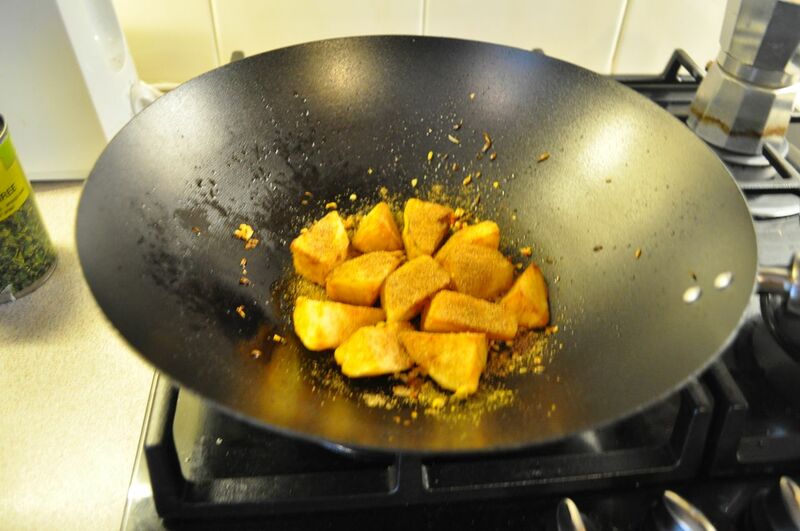 After careful consideration I think I’m going to do something along the lines of saag aloo, which is a spicy Indian potato and spinach dish, but I’m going to twist things slightly by making the potato into triple cooked chips as I figure the crispiness will go well with the texture of the spinach. 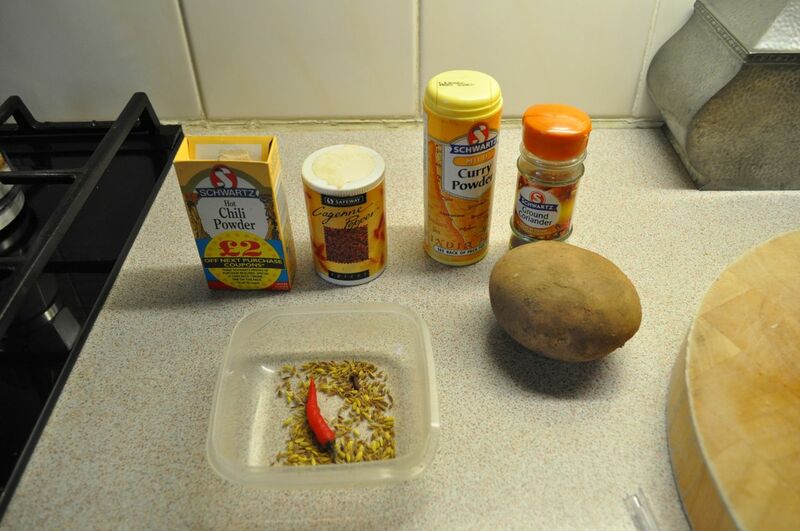 A small asteroid masquerading as a maris piper potato (starchy); 1/4 tspn curry, chilli, coriander and cayenne powders; 1/2 tspn of cumin and fennel seeds; 1 small birds eye chilli, seeds in; clove of garlic (not in shot). And I’m going to let these cook for around 20-25 minutes in salted water until the point they just begin to break apart. 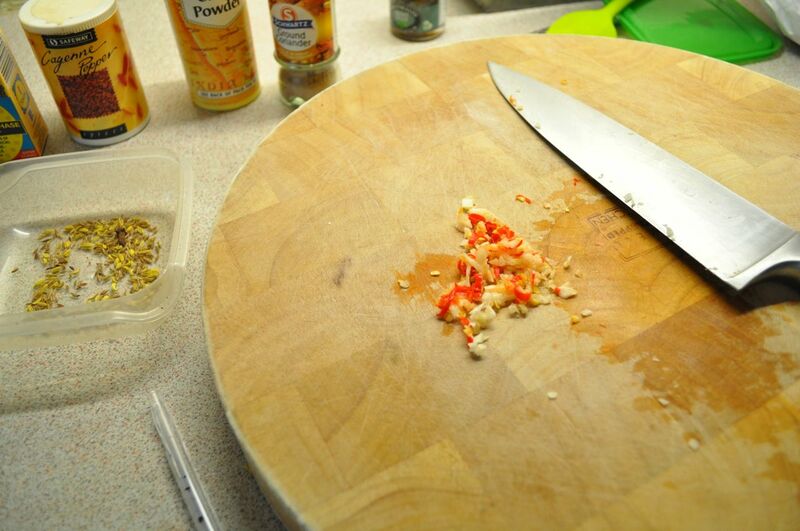 Which I start by turning the gas all the way up and by adding the fennel and cumin seeds. FYI 2: this will build up an extra crispy coat (surface? covering? outside?) 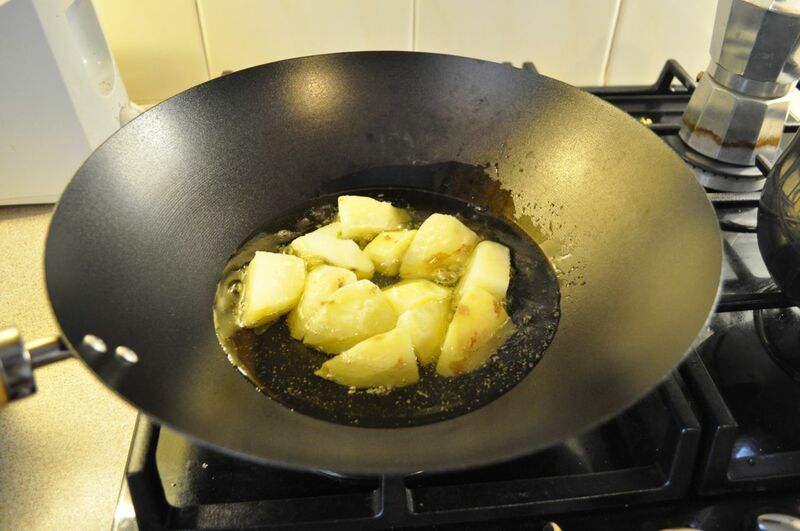 and will take around 5 minutes or until the potatoes have gone golden brown. The final step is to quickly stir in about 3 tblspns of the hakket spinnat and serve! Really nice! 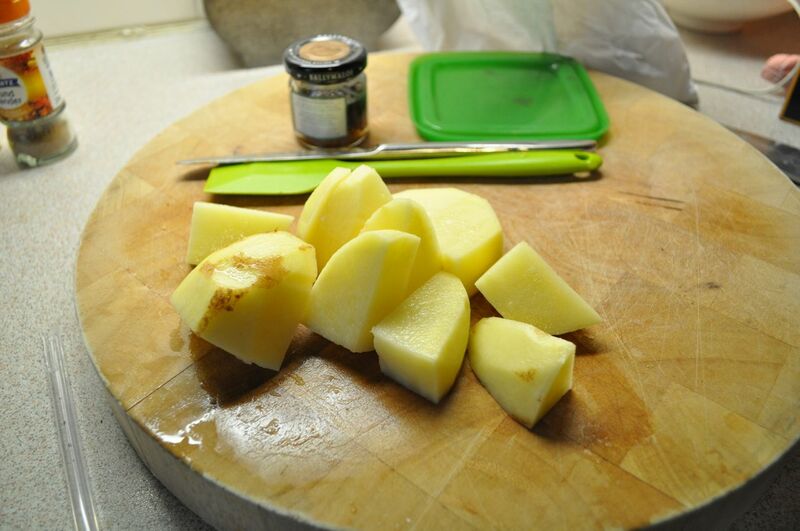 And although some of the potatoes have absorbed some moisture from the spinach, the are still light and fluffy and have retained enough crunch to offer a nice contrast to the spice infused vegetable. If I’m being really critical I think it needs some cut, probably from a lemon, or maybe a lime while I think about it. 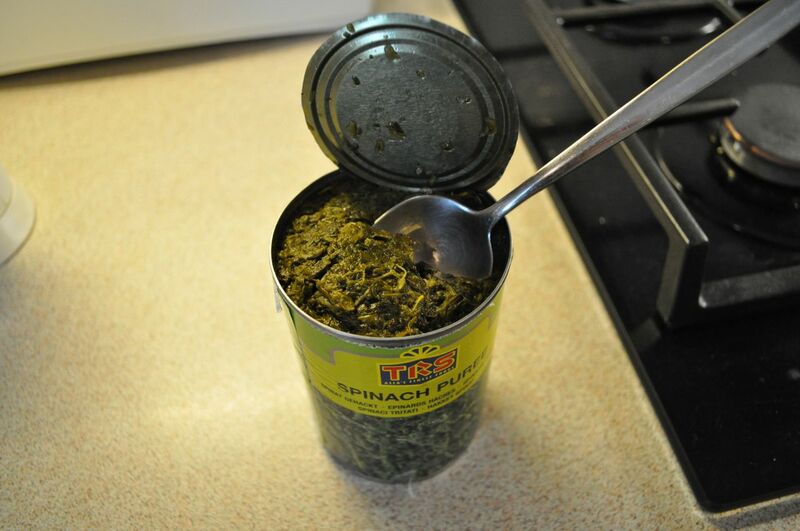 So there you have it folks: tinned spinach from 2011 not only tastes pretty good when treated right, it also makes you stronger as my scientifically controlled experiment proves. But what do you think? Do you agree that the Popeye video above is ridiculously violent? 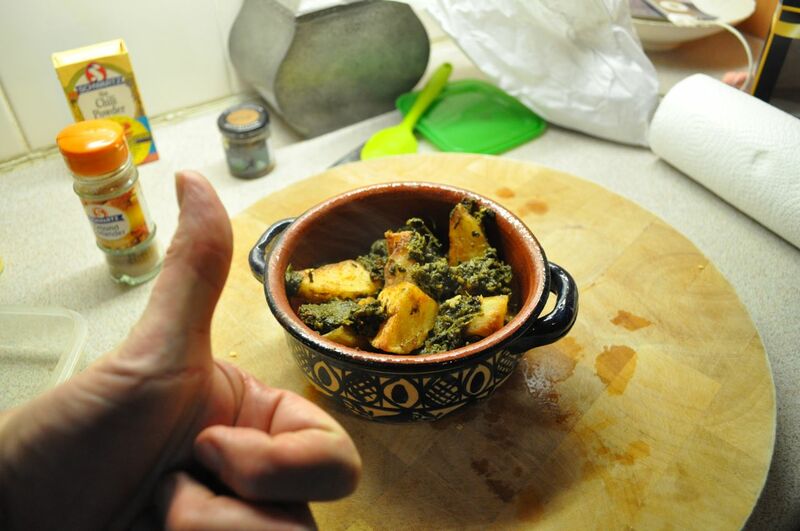 Do you like saag aloo and do you make your own version? Was this post veering a bit close to proper food blogging and should I just eat dog biscuits next? Head over to Facebook, Twitter or Huffingtonpost and tell me and hundreds of other food geeks! 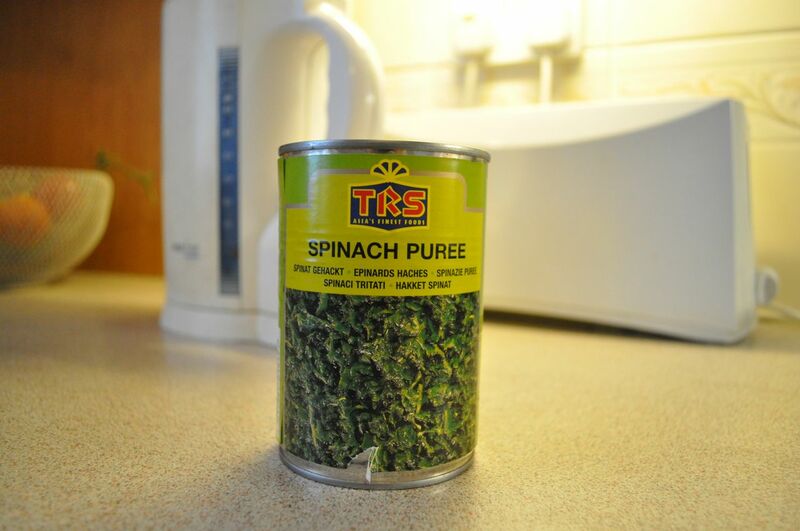 apparently you can eat tinned stuff years after its use by date. i hope.